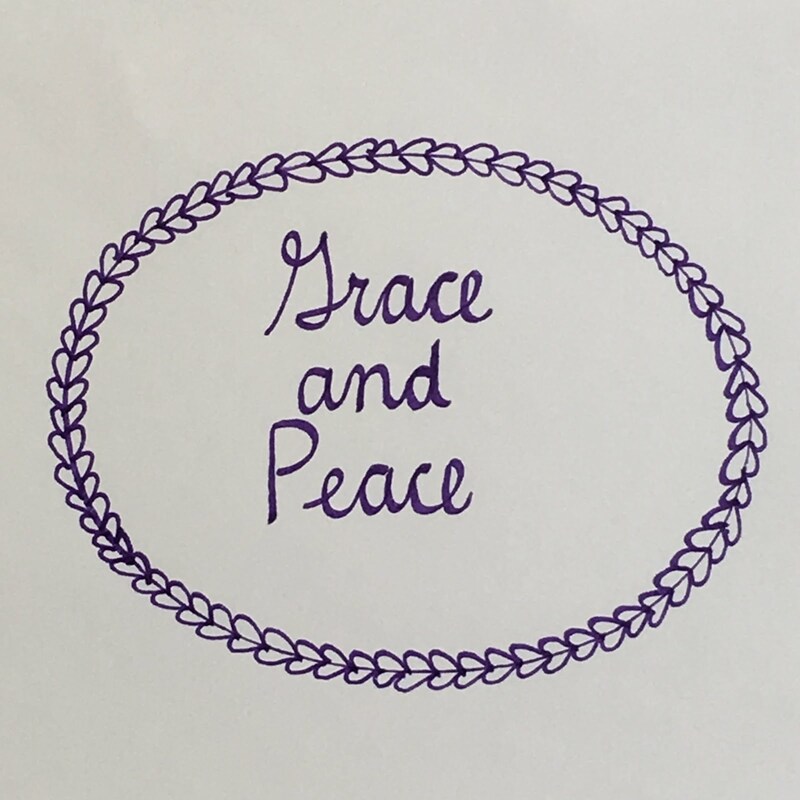 Grace and Peace Quilting: Best Baby Quilt Pattern Ever! This baby quilt pattern is the perfect quick project! The pattern comes in this little booklet, 4 1/8" X 5 3/8", put out by Modern Quilt Studio. 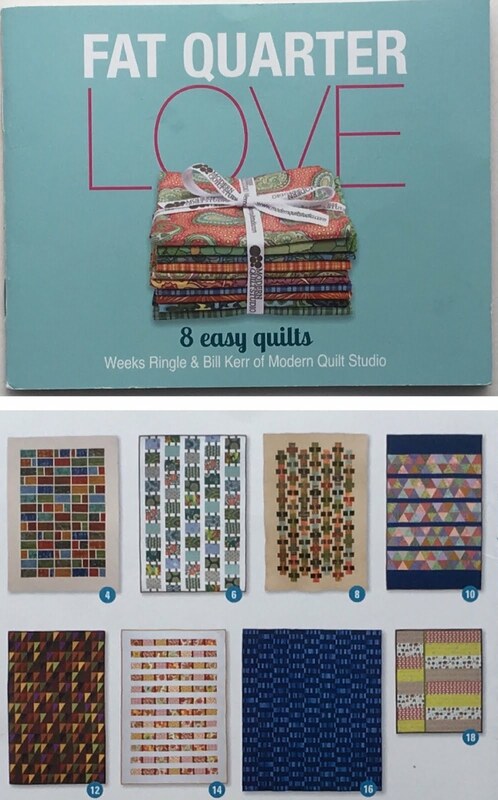 There are 8 modern quilt patterns in this little booklet. 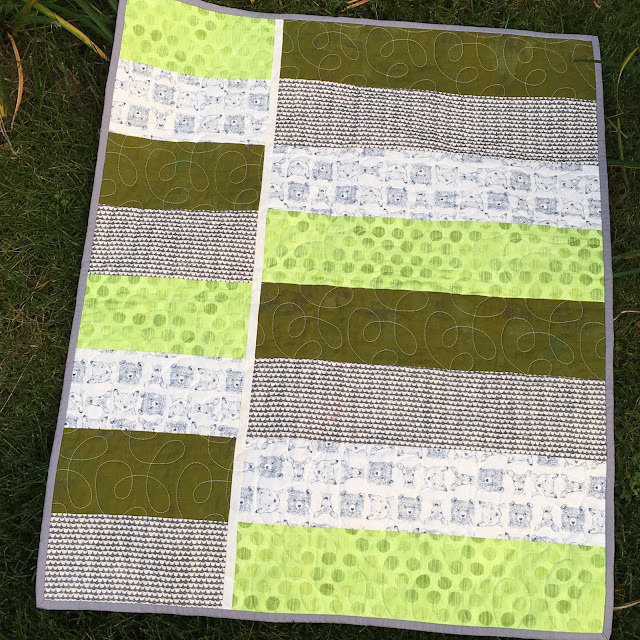 "Simple Gifts" is the name of this baby quilt, on page 18. I made this one first--here it is with binding stitched on the front. I bought this adorable woodland animals fabric on our recent state shop hop. The quilting is called "Spring Thing". 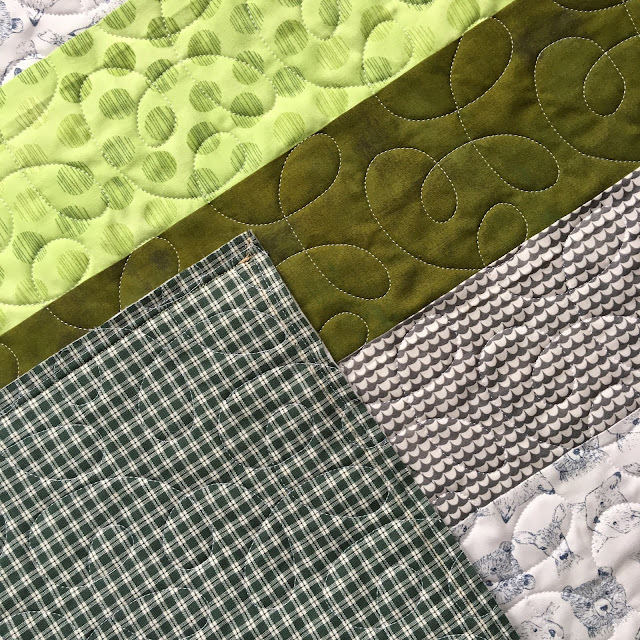 The pattern calls for four fat quarters, and as one of my co-workers at Quilt Cove said, "Who doesn't have four fat quarters?!" 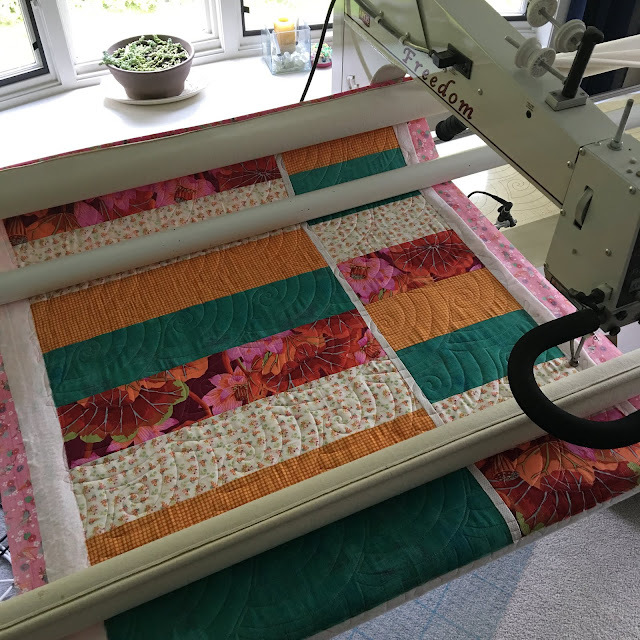 This second quilt was designed around the floral Kaffee Fassett fat quarter, which was a freebie from a local quilt shop. The backing is an origami crane fabric from Japan. 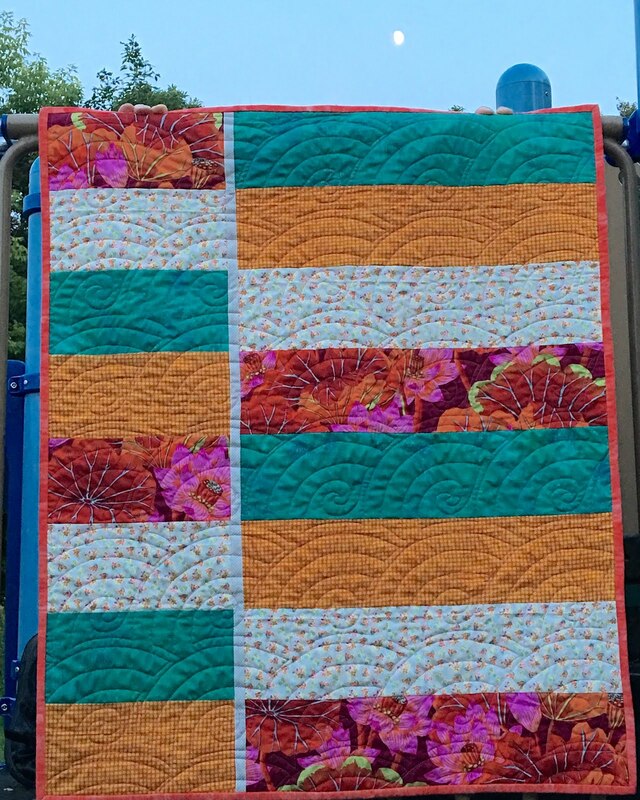 I quilted "Baptist Swirl" on this one. Besides the four fat quarters, it calls for a 1/2" strip between the two sections, binding and backing, fabric most of us can pull from stash. Finished size is 31" X 40". There will be many more of these quick baby quilts in my future. I plan on donating them to Jack's Basket, an organization whose mission is to celebrate babies born with Down Syndrome. What a fun pattern! I love the green/brown fabric combo. 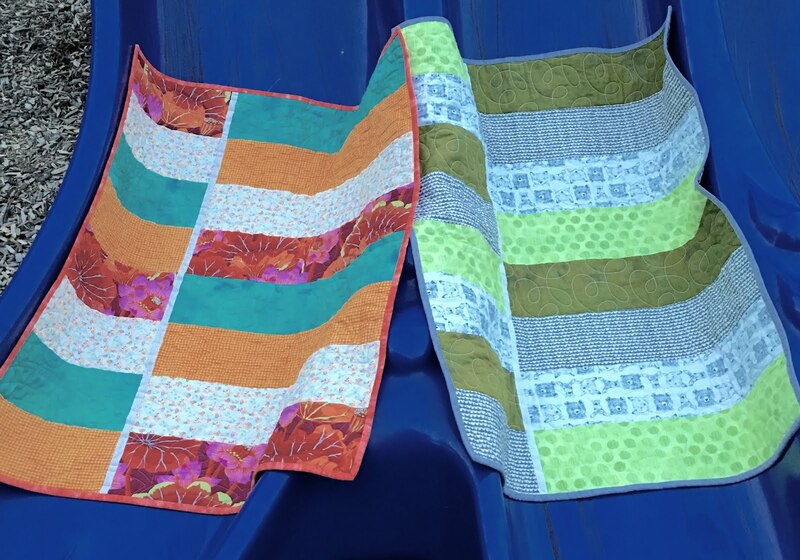 Such simple quilts to make, they will be perfect for Jack's Basket! What a great way to use some of my big novelty prints! Sometimes I hate to cut up the cute animals or scenes. Your little quilts are just darling, and I love that you are donating them to a Downs charity. Great job!! 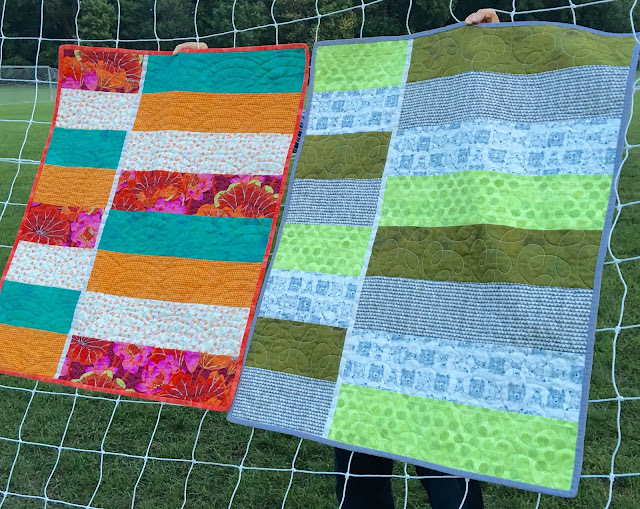 I love both of these quilts, the simpler the better and who doesn't have four fat quarters. They're perfect for donating and for gifts. Thanks for sharing! 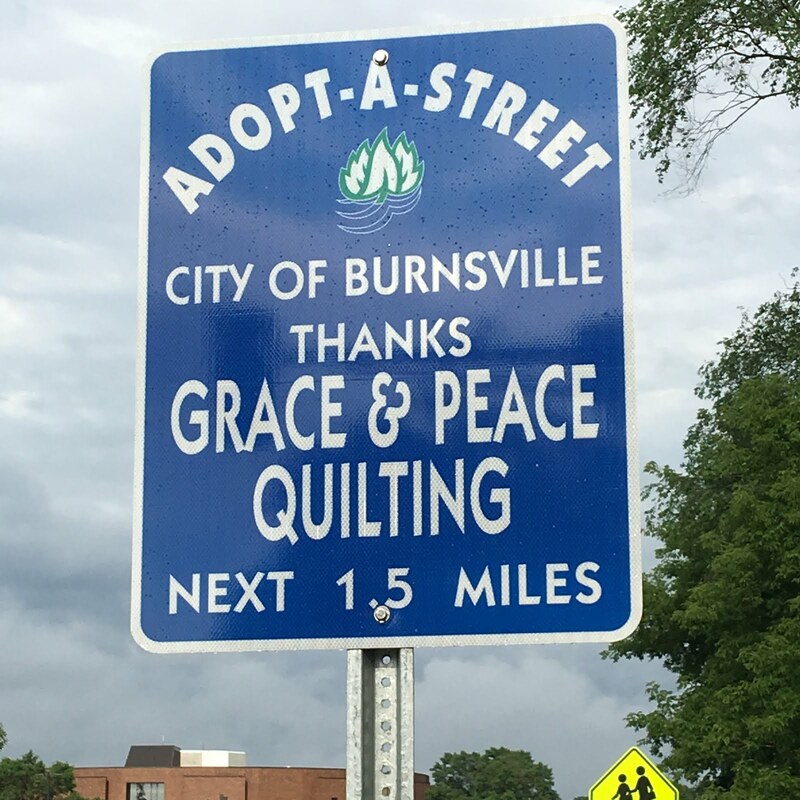 BTW, love the quilting, especially the Baptist Swirl. 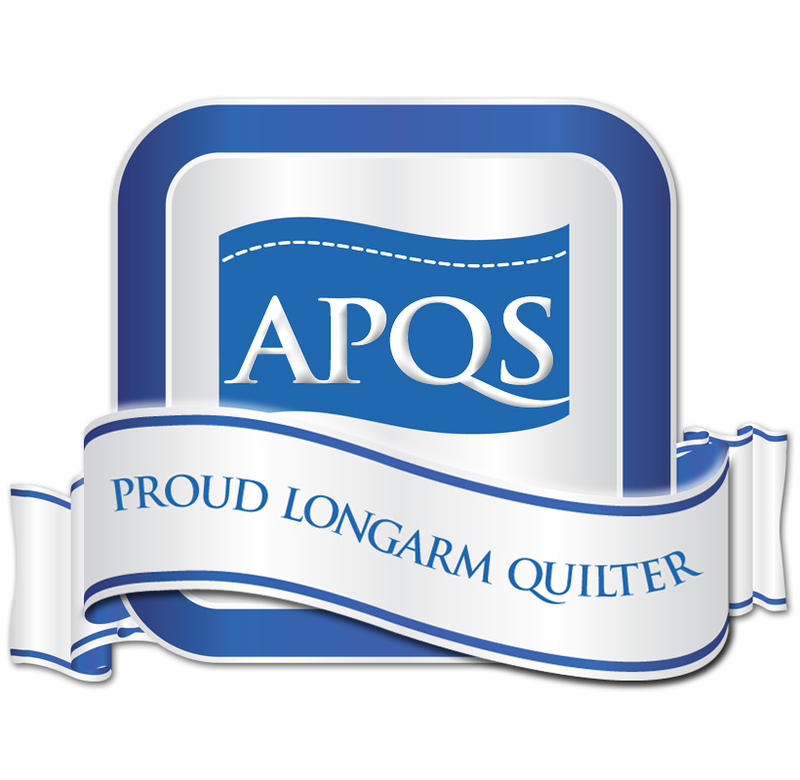 Great and lovely quilts for a lovely cause! You're so kind to donate your time like that. Such sweet quilts. They will certainly be loved by the babies who get them. Beautifully simple idea, great work! Wow! 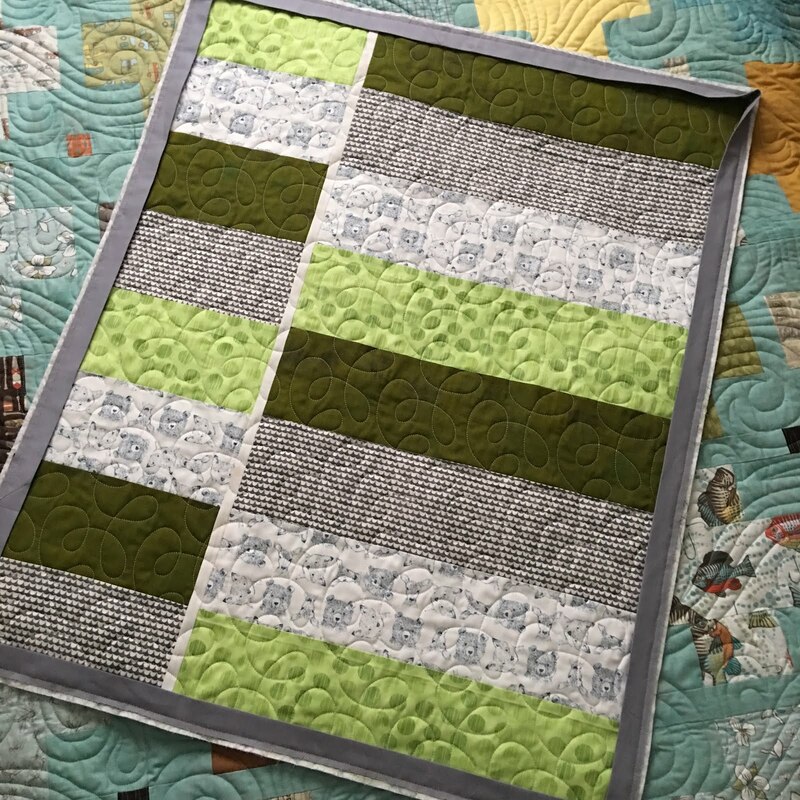 What an effective baby quilt or small quilt for other people. I must try one like it.... or at least somewhat like it. Thanks for sharing. 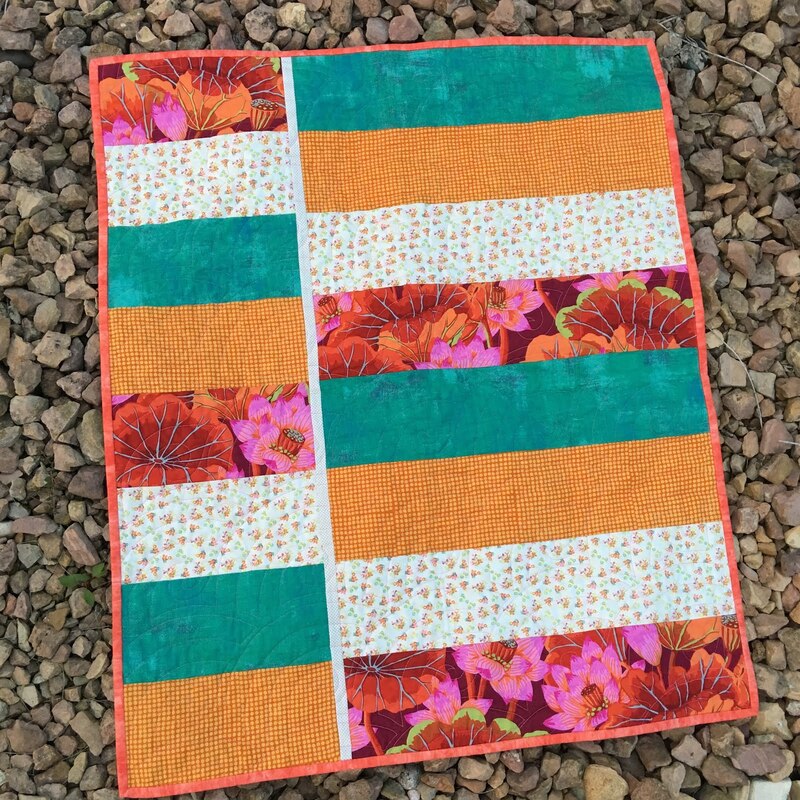 Beautiful fun quilts! Thanks for linking up! Such beautiful quilts and perfect for using up the stash, thanks for sharing that book, I'm going to look it up! 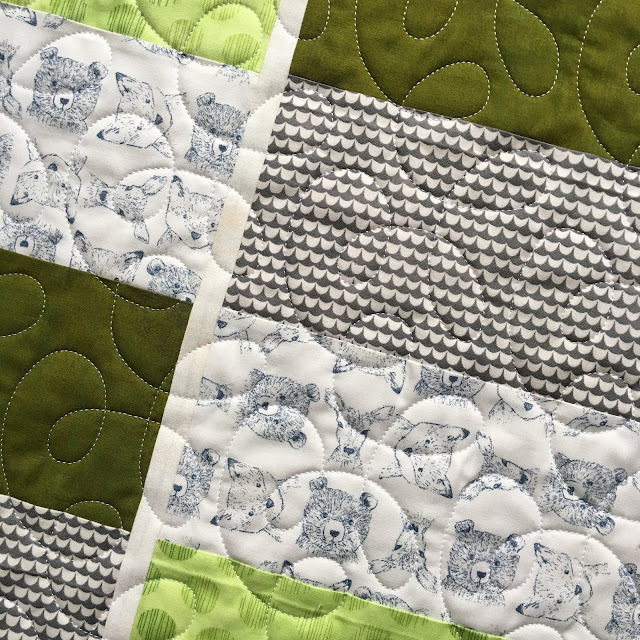 Great baby quilts! Lovely quilting. 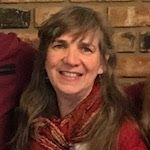 I invite you to share them with Let's Make Baby Quilts - no affiliation with Michelle, just want others to see your creations. That really is a great way to make up some quick baby quilts. A fun way to use up some stash, too! 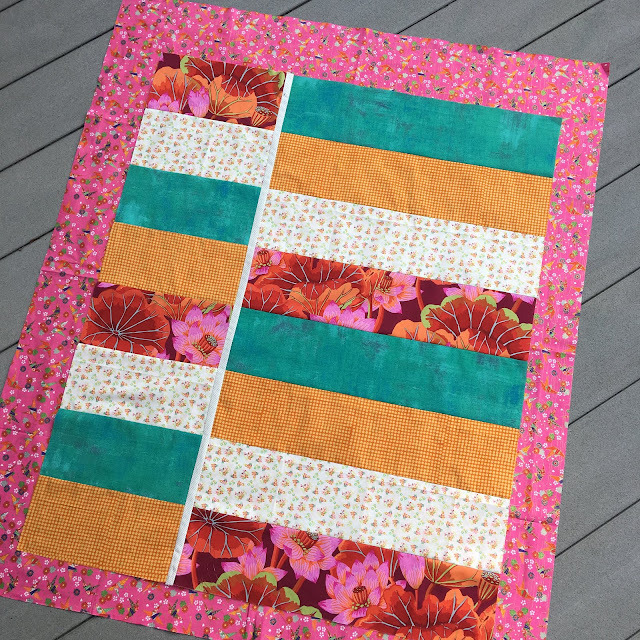 Quick and colorful quilts! Nice! Quick and easy and still very pretty!